MEET Kavitha, a business undergraduate at the Singapore Institute of Management. Her Saturdays are usually busy. No surprise there as it is quite common for undergraduates like her. But ask her and she will tell you more. It seems that management theories are not the only things on her mind on a Saturday evening. Follow her, and she will take you to a place just off Selegie Road. Away from the hustle and bustle of nearby City Hall and Orchard Road. Walking down Short Street, she enters Tamil Methodist Church. Now what could be happening at a church on a fine Saturday evening? Isn’t it usually the time when the young (and young at heart) go out in search of fun? Isn’t Saturday night the most “happening” time of the week? What could Kavitha be doing in church? And she is just 23. “I go to a Bible study fellowship. It happens every week. We call it the NMI,” she said. NMI? 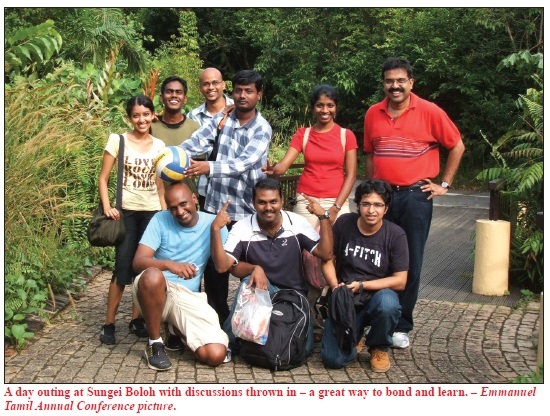 “New Ministry Initiatives … ” NMI was officially launched on Sept 23, 2006 as a result of an Emmanuel Tamil Annual Conference’s resolution at its 30th Session in 2005 to extend its reach beyond the Tamil-speaking to the larger Indian community. It caters to young undergraduates, graduates and expatriates of Indian ethnicity. Pastor Paul Asveen, an Assistant Pastor at Tamil Methodist Church and the Director of the NMI, has been given the task of spearheading this ministry since its inception almost two years ago. 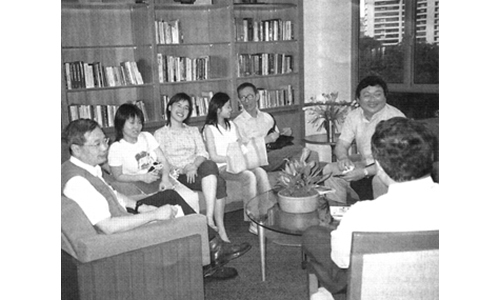 NMI had a humble beginning, with just six students meeting at the National University of Singapore (NUS) for a time of fellowship and Bible study. 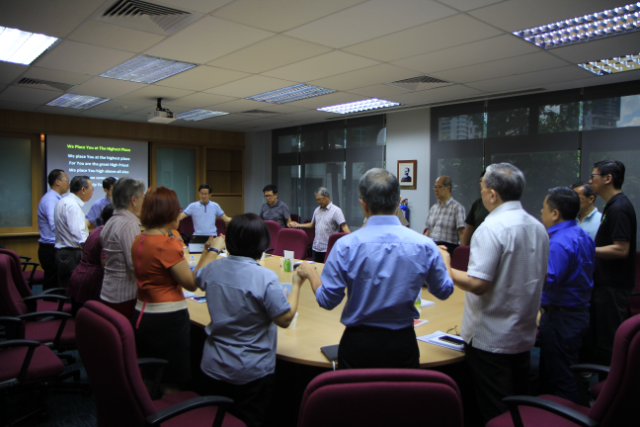 Today, with more than 20 members, comprising students from the Singapore Management University (SMU), Singapore Institute of Management (SIM) and other expatriates as well, and a systematic schedule for topical Bible studies, NMI has been successful in motivating these young and energetic youth to be committed to their faith and the church. 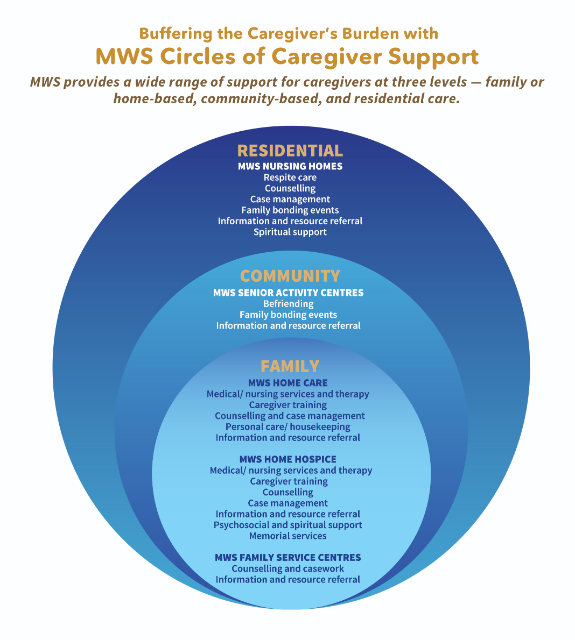 NMI does not just take place on Saturday evenings. There are students who are eager to meet on Friday evenings at the Kent Ridge campus of the NUS as well. Some students cannot get enough, and choose to attend both sessions. The NUS students find this to be just the right place to unwind and relax. Here, the group also tries to meet non-Christians where the time is usually spent discussing topics ranging from Bollywood to cricket to the latest coffee joints. The group is in need of an official structure, like coming under the umbrella of an already existing campus ministry. Nancy, a researcher at the National Neuroscience Institute, is just as enthusiastic about Saturdays. Creation versus Evolution? Culture and Christianity? “Predestination and Freewill, too,” said Vivek, an industrial engineer and a first-generation Christian, like many others in the group. “Being a new Christian, the apparent contradictions between predestination and freewill have always intrigued me. The sessions at NMI could not have come at a better time. 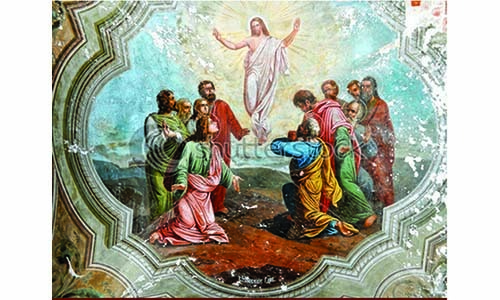 We realised the importance of reflecting on this subject in the light of God’s nature. It made better sense.” “There was also this time when we watched a video entitled ‘God’s Cool Designs’ (check it out on Youtube): a controversial video insinuating the randomness of the origins and evolution of life. At the fellowship, we dare to discuss matters like this – assumptions that would normally go unquestioned,” said Grace, a newcomer to the fellowship. “I am so excited by this fellowship. I took home so much in just the two sessions I have attended so far,” she added. Monu, an NMI participant, likes to be part of the fellowship. Ask him why and he will tell you that it is also because of the fun. And it is through times like these that meaningful friendships are forged among the group. So who can join in these weekly brain-stimulating discussions? Pastor Asveen is optimistic about the prospects of the Bible study. 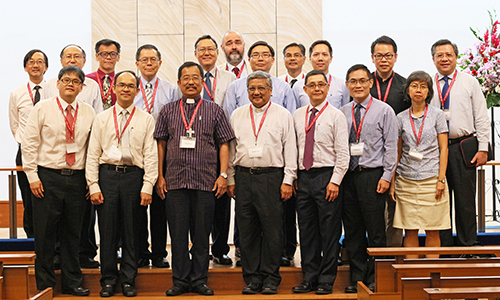 He attributes this to the excellent location of Tamil Methodist Church (in the vicinity of the SMU, Lasalle College of the Arts and the NUS Law School), rapid growth of the Bible study group, and ETAC’s firm commitment to making this fellowship a strategic part of the conference’s long-term blueprint. Christina Dhanuja is a Chemistry research postgraduate at the NUS and worships at Ang Mo Kio Tamil Methodist Church. Melvin Dineshraj is a Finance and Economics major at the SMU and worships at Tamil Methodist Church in Short Street.